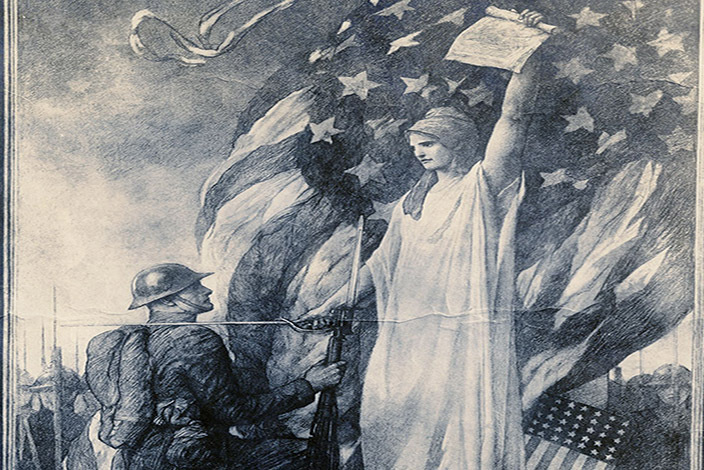 Dr. Budreau's talk, titled "Coffins and Gold Stars: The Story of American Remembrance in the Aftermath of the Great War," will be in the Library & Archives auditorium May 21 from 10:30 a.m. until noon. "This is the saga of the war dead and the efforts of the living to honor their heroes," Dr. Budreau said. "It's a staggering, often-macabre tale steeped in the pathos and human drama of a democratic nation struggling to find meaning in war." Dr. Budreau will touch on the political and social dynamics at work in America from the war's end through the early 1930s. Dr. Budreau is the senior curator of military history for the Tennessee State Museum. She has also served as a freelance historical consultant for the American Battle Monuments Commission in Paris, France, vice president of education and collections for the National World War I Museum in Kansas City, Missouri and a research historian for the U.S. Army Surgeon General's medical history office in Washington, D.C. Her published works include "Bodies of War: World War I and the Politics of Commemoration in America, 1919-1933" and "Answering the Call: The U.S. Army Nurse Corps, 1917-1919."